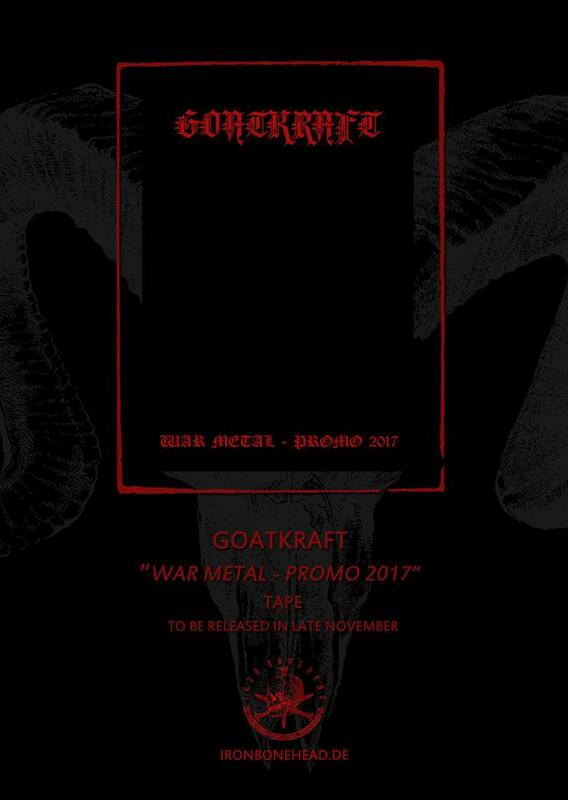 Funderground label Iron Conehead Productions is releasing a aptly named war metal demo called War Metal from a war metal band who christened themselves Goatkraft with a K.
Jesus another Goatcraft. These crossdressers stole their name from Lone Goat’s keyboard music project Goatcraft. They merely misspelled Goatcraft with a K in Mortal Kombat and Sadistik Exekution style. Given the general phenotype of war metal “musicians”, at least two of the following will apply: fat, bald, and short. Kataklysm asks how you could forget the revolutionary groundbreaking impact of Korn? Find girlfriends, guys, for your own sakes. I just received the first Iron Bonehead release I ever bought. I don’t have an opinion on the band yet, hence, I won’t mention it but the CD came wrapped in the orbituary notices page of the Niederrhein Nachrichten[*]. For death metal, that’s certainly stylish. [*] News From the Lower Rhine, presumably the local paper at the location of the company. There’s about 9284928392 bands called “Tormentor.” Taking a name and changing a letter doesn’t really count as stealing in metal. If anything the letter change is downright polite. Goatcraft uses stage blood only and never sacrifices pigs. He’s not hesh enough to cart around paint buckets of rotting pigs’ blood like Dismember.